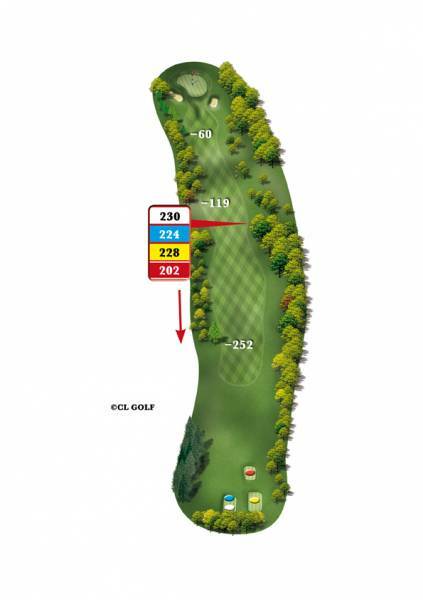 A long and straight all uphill par 4. With trees left and right starting from the tee shot all the way to the green. A good tee shot will leave you with an inviting approach. This is one of the four main greens where you must keep your approach shot below the hole, if you want to keep a three putt off your score card.